The course will give important information on the elements that compose a natural and effective approach to Ashtanga self-practice, Mysore style. Kristina will teach the flow and the principal of Talk Primary and will give verbal and physical adjustments that will Improve the understanding on the Ashtanga method. The sitting practice of meditation as well as pranayama will ground this effort! Questions and answers session will allow discussion that will give the students the opportunity to get in touch with the history of the Ashtanga method in the West. This week of devotion and concentration in the essence of the Ashtanga method will be a part of the celebration of 70 years from the birth of Derek Ireland, Kristina’s main teacher. Kristina Karitinou is a certified Ashtanga Yoga teacher who has been teaching through the tradition of Sri K. Pattabhi Jois since 1991. She was qualified as an Ashtanga Vinyasa Yoga teacher by her late husband Derek Ireland, who was authorized by Sri K. Pattabhi Jois in 2002, and she became Certified by Manju Pattabhi Jois in 2012. The last years she has been actively involved in the practice of Zen chanting and sitting under the guidance of Zen Master Hyon Gak Sunim. 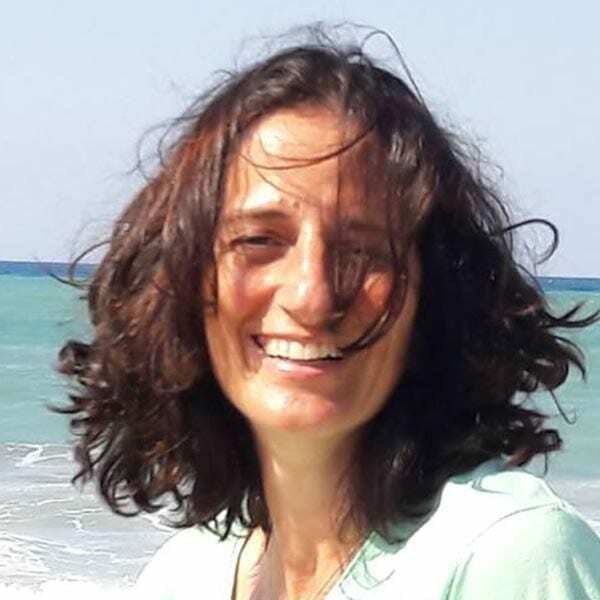 She teaches the Primary, Intermediate and Advanced Sequence and she offers classes, workshops, retreats and TTCs all year round in Greece, Europe and Asia. Kristina’s work is a continuation of Derek Ireland’s teaching principles and techniques and her work is dedicated to him.